With long coastlines and some of the world’s most important rivers, mountain ranges, high-altitude plateaus, and islands, Asia is the largest and most populous continent in the world (Lyde 1904; Spencer 1954; Population Reference Bureau 2016). Asia supports all major terrestrial ecosystems and all major climatic types (Galloway et al. 1998; Braimoh and Huang 2015). These include barren ice fields and taigas in North Asia; boreal forests and cold deserts in West, Central, and East Asia; temperate and tropical forests (wet and dry) in East and Southeast Asia; and grasslands in Central and South Asia (Udvardy 1975; Braimoh and Huang 2015). Together, the ecoregions of Asia foster some of the greatest biodiversity on Earth, including six (24%) of 25 global biodiversity hotspots (Myers et al. 2000). 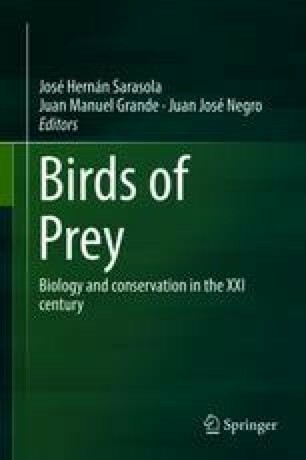 We thank Tris Allinson who generously compiled the BirdLife data we analyzed. We also thank Tracy Maffett Prado and Medel Silvosa who helped prepare initial data used to organize the manuscript. Statement of author contributions: TEK and CBC organized the manuscript at the invitation of the editors; CBC organized published data and led writing, and all authors contributed to revisions of the manuscript. Any use of trade, firm, or product names is for descriptive purposes only and does not imply endorsement by the US government.